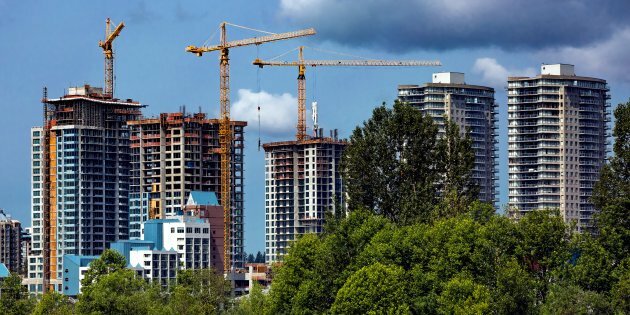 Construction of a new residential area in the city of New Westminster, three construction cranes. Already raised two and three under construction. Green trees and shrubs in the foreground.